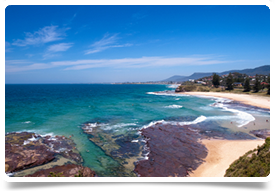 This established GP practice is 9km from Wollongong CBD, there has recently been a significant investment in the practice and they are recruiting for experienced GPs to join the team. There are currently 5 Doctors, Counsellors, Audiologists, Dieticians, Podiatrists, Pathology is on sigh and there is a pharmacy next door. $150k min guarantee for 3-6 months. Based on a 40 hour week their average full time GPs are earning over $400K. Their philosophy is to provide the highest level of general practice care to all families and members of the community. They describe themselves as having a committed and friendly team of doctors, nurses and administrative that staff share a common passion in striving to provide the highest level of comprehensive health services to all members of the community. They have a special focus on families, with a wide range of services available for babies, children and the elderly. Wollongong lies 50 miles south of Sydney and has an approximate population of 300,000. The city has beautiful beaches with a dramatic backdrop of green and sandstone of the Illawarra Escarpment. It’s the third largest city in NSW, has a multi-cultural history and is a University town, adding to its international feel and cosmopolitan outlook, with people from over 100 countries having made their home there. The variety of restaurants, theatres, cinemas, pubs and clubs make for an active nightlife while the art galleries, museums, botanic gardens, beaches and activities offer plenty to do during the day.